Fancy a Dividella Driver, Seidenader on the Beach or a Martini Systems? We invite you to enjoy a drink created especially for you during our Happy Hour. Enjoy yourself with live music and tasty finger food. We will make sure you have a time to remember! Be happy and surprised! 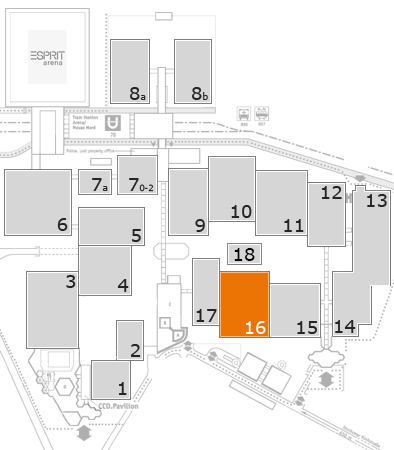 Do drop in at our booth A25 in hall 16 - on the spur of the moment; no need to register. We start at 04:30 pm and we look forward to seeing you! Smoothie, Chocolate and Co.: healthy, fit and happy. Everything revolves around health & happiness. Delicious smoothies, healthy, tasty food and lots of chocolate. And for a personal challenge we have also thought of something interesting. Enjoyment… and action! Servus, Grüzi and Welcome to the Bavarian-Swiss night. Very traditional. Enjoy Swiss raclette and Bavarian delicacies, and take your personal gingerbread greeting home with you. And the activity? This time you will need a good eye... and a hat. world premiere: A new operating concept, a new development approach, a new HMI – with the BE Blister Series Mediseal has broken new ground. Hamburg/Winterthur, April 2017 - Over an area of more than 500 m² Medipak Systems are presenting more than a dozen exhibits, solutions and world firsts centering around the themes of Industry 4,0, OEE optimization, falling lot sizes, increasing complexity and EU Directive 2011/62/EU, which come into force in 2019. With their integrated solutions, Dividella, Mediseal, Rondo, Seidenader, Werum IT Solutions and Fargo Automation, which was acquired at the beginning of 2017, jointly provide answers to the major challenges of the future. Over an area of more than 500 m² more than a dozen exhibits, solutions and world firsts in the areas of serialization, packaging expertise, small lot solutions, process optimization and Pharma 40 provide answers to individual customer requirements. At interpack 2017 Dividella is exhibiting its highly flexible NeoTOP toploading machine. This is equipped with a manual inserter module and is ideal for processing small lot sizes. For the greatest possible filling flexibility Dividella has opted for the collaborative YuMi robot from ABB. This fills the topload folding boxes with syringes, pens and other products, depending on the order. The syringe infeed to the machine is by Fargo Automation. The system fills boxes (100% monomaterial) which are provided by Rondo with a China code. The boxes and flutes, which are fed in flat, are erected and glued inline; the flutes are perfectly aligned with the delicate products and ensure optimal product protection. In addition, variable data such as the personalized patient's name can be printed inline. The China code is checked by an integrated Seidenader Track&Trace system. Mediseal is presenting its new BE Blister Series. This modular machine can be optimally matched to individual requirements as a customized variant. Thanks to shorter change-over and cleaning times it features high machine availability. To achieve this, the number of parts involved in a change-over has been significantly reduced. Furthermore, fewer settings are required on the part of the operator, who can perform his or her tasks more quickly thanks to the improved accessibility of all areas. This also affects cleaning times, which have been further shortened thanks to an ingenious cleaning concept (including rounded corners and the comprehensive elimination of dirt traps). The machine is therefore also ideally suitable for many different formats and small lot sizes. Mediseal is presenting for the first time its P5000 high-speed cartoner, which can fill 500 cartons per minute. Its extensive format range enables it to handle dimensions up to 150 x 110 x 200 mm. The P5000 can be seen inline with Mediseal's CP600 high-speed blister machine. The two machines are perfectly matched and guarantee reliable production output. At interpack, Rondo is introducing a new supply chain solution for small lot sizes: Supply on Demand. The concept of demand-driven supply of secondary packaging covers the supply of small delivery quantities of consistently high quality within short delivery times of less than one week. Visitors can engage in one-to-one discussions with Rondo about the possibilities of the new Suppy on Demand solution for their individual requirements. Rondo is also presenting an app which offers new possibilities for the uses of smart packaging. It reads reference points on the pack which are invisible to the naked eye and generates an Augmented Reality on a smartphone. Manufacturers of pharmaceutical products will be inspired by the new communication possibilities in terms of product information which will be possible in the future. Rondo is continuing to opt for the application of NFC technology. An NFC chip integrated in the pack is used to demonstrate four possible applications. (1) In the context of clinical studies, data specific to an individual patient can be written to the chip. Via an app which the physician and patient download onto their mobile phone, both can communicate and exchange data during the study. (2)In addition, the chip can also be used to remind the patient to take their medicines, to increase compliance. The patient scans the pack of medicine once with the Rondo app. (3) The patient can be provided with additional information. For example, the enclosed leaflet can be read from the app. (4) Furthermore, the NFC chip can be used to verify whether the identification number stored on it exists only once. For this purpose the data can be compared using the app. This means that the chip can be used as a safety check in the same way as a serial number. Rondo is presenting a solution for a new type of child-proof packaging for blistered solid products – the CAREP' AK. Solids can be pressed out from the pack only if a safety mechanism is operated. This mechanism must be operated each time a product is removed. Unlike customary childproof systems, which often protect the carton from children only before it is opened, the CAREP'AK is safe until the last product is removed. For the technical solution, Rondo has developed a folding box into which the system is individually fitted. At interpack, Seidenader is presenting for the first time its new DE.SY.RE De-Nester/Re-Nester solution for “non-glass-to-glass-contact“ handling during the complete inspection process. Fast, highly accurate Delta robots take over the filling of the inspection machine and subsequent removal of the containers. In connection with an inspection machine, Seidenader offers a comprehensive turnkey solution where up to 600 containers per minute can be infed, inspected and removed, with great precision and without glass-to-glass contact. Seidenader provides Track&Trace solutions for serialization and aggregation of each individual packaging levels which meet all regulatory requirements: for single packs, bundled packs, cartons and pallets. At interpack, Seidenader is presenting its solution in conjunction with the Mediseal blister line: the ItemUnit-Tamper Evident, complemented by the CaseUnit and the PalletUnit. On Seidenader's ItemUnit, codes are applied and verified on folding boxes, depending upon the applicable regulations: e.g. in addition to batch-specific information in clear text and a random, unique serial number, also a Data Matrix code ,which contains all the above-mentioned information. Werum IT Solutions provides a supplier-independent Track & Trace solution. The solution provides functions for serialisation and aggregation in packaging processes and integrates ERP and Global Repository with packaging technology and line control at production level. On the Medipak Systems booth, Werum is demonstrating data exchange with a Seidenader Line Controller for serialization. Werum IT Solutions is also presenting its vision for a new industry standard: Plug & Produce. Together with Dividella, Mediseal and Seidenader as well as the partner ABB and organizations such as the ISPE, the company is working on a solution for structured data exchange between the production control software (Level 3) and the equipment in a pharmaceutical factory (Level 2). Werum' s Plug & Produce solution enables rapid, simple integration of machines or automation systems into the production environment of a pharmaceutical or biopharmaceutical manufacturer. The basis for this is Werum' s new, standardized, message-based interface, via which the machines on the shopfloor and the PAS-X MES software communicate directly with each other. Werum' s PAS-X KPI is a streamlined software product for real time monitoring of production and packaging lines, in order to increase production output of Pharma and biotech companies. For this purpose, PAS-X KPI provides key performance indicators (KPIs), on the basis of which processes and equipment can be optimized. It is the only KPI/OEE tool developed specifically for the pharmaceutical and biopharmaceutical industry. Werum' s PAS-X KPI is browser-based and supports various modes of implementation such as on-site installation and Enterprise Cloud. Networked digital solutions – the keyword is Pharma 4.0 - are to be found again and again at the Medipak Systems booth. As a prequisite for the implementation of many Pharma 4.0 solutions, Werum is presenting its new Plug & Produce solution, which in the future will enable rapid and simple integration of machines or automation systems into the production environment of a pharmaceutical or biopharmaceutical manufacturer. Rondo is presenting its latest ideas for Smart Packaging, which envisage, in addition to the generation of an Augmented Reality, new functions deriving from the integration of an NFC chip into folding boxes. Apart from improved communication between manufacturer and patient, this technology can be also used during the manufacturing and packaging process to facilitate an exchange between the folding box and the machine. At interpack, the NeoTOP x is controlled and monitored remotely via a Smart Device. With the aid of the device, multiple production units can be scheduled, co-ordinated and controlled in parallel. The solution, which is based on HTLM 5, is compatible with all systems and enables customers to use the mobile terminal of their choice. A shift from reactive maintenance to predictive maintenance: at interpack, Dividella is presenting a prototype for Condition Monitoring & Predictive Analytics. This not only captures data in real time but also interprets it appropriately by automatically checking against patterns which indicate a fault. To this end, Dividella applies concepts such as data mining, data modelling or machine learning. Under the banner of Service 4.0, Dividella is also introducing its new webshop for rapid and easy ordering of spare parts and for enhanced customer information. Visitors will find Medipak Systems in Hall 16, Booth A25. Medipak Systems is partner to the international Pharma and Biotech Industries and provides solutions for secure and efficient processes for the manufacturing, inspection and packaging of pharmaceutical products. Global leadership in technical know-how, outstanding service and close personal contact form the basis of our long-term partnerships. Medipak Systems unites internationally successful enterprises with locations in Germany, Switzerland, the Czech Republic, the USA, Brazil and China and offers a single source for software, materials, machines and technologies for the production, inspection and packaging of pharmaceutical products: these include Pharma Manufacturing Execution Systems, the development and production of standard and special folding boxes, innovative packaging and inspection machines, and solutions for the traceability of medicines. Medipak Systems unites the companies Dividella, Fargo Automation, Mediseal, Rondo, Seidenader Maschinenbau and Werum IT Solutions. Approximately 1,700 employees worldwide work for our company. Medipak Systems is a Business Area of the Körber Group, an international leading technology group with around 11,500 employees and an annual turnover of € 2.3 billion.